"Show off your personality with unique wedding stickers. These little sticky sentiments go a long way on your wedding invitations, favors and scrapbooks.".. Wedding stickers are a unique way to show everyone how stuck you really are on that special someone. Because they are small, wedding stickers can be used in a variety of ways to decorate your day. From invitations to wedding favors to scrapbooks, wedding stickers add personality to all your wedding accessories. Apply eye-catching wedding stickers to the outside of your wedding invitations to grab attention right away. Include a sticker to seal the RSVP envelope so guests do not have to lick the envelope. Your invitations have added pizzazz with colorful wedding stickers. Use stacked monogram stickers to seal all your wedding invitations and RSVP envelopes in style. Formal invitations are more sophisticated with wedding rings deep embossed stationary seals. 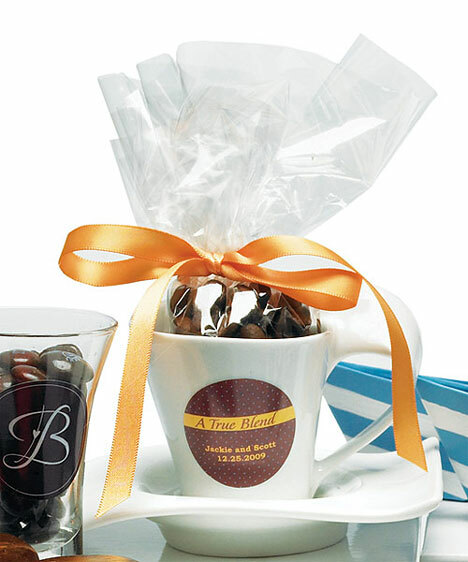 Express yourselves according to sentiment or theme on wedding stickers applied to the favors you give your guests. Make your guests laugh, cry or smile when they read your statement on a customized wedding sticker. Select classic wedding stickers to embellish items of your choice. Ornamental baroque monogram stickers include your monogram and your names to personalize any wedding favor. After the wedding, you can create your own scrapbooks or journals with all the photos and memorabilia from the day. Affix the pictures and items to the book with expressive stickers. Add stickers to the pages to bring each moment to life. Your beach wedding album is perfect with flip flop shaped stickers bearing your names on the corner of every page. Kids always love stickers. They will decorate everything for you and each other when you give out plenty of wedding stickers. 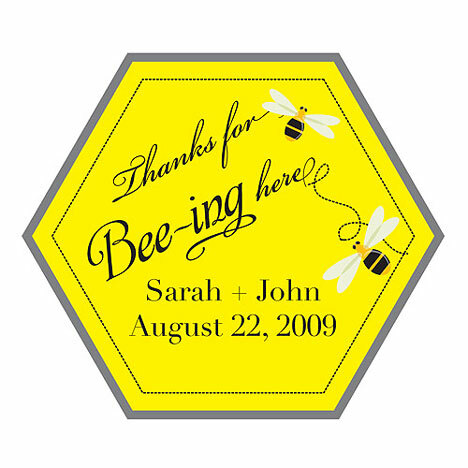 Whimsical "thanks for bee-ing here" stickers get all the little ones involved in the fun. 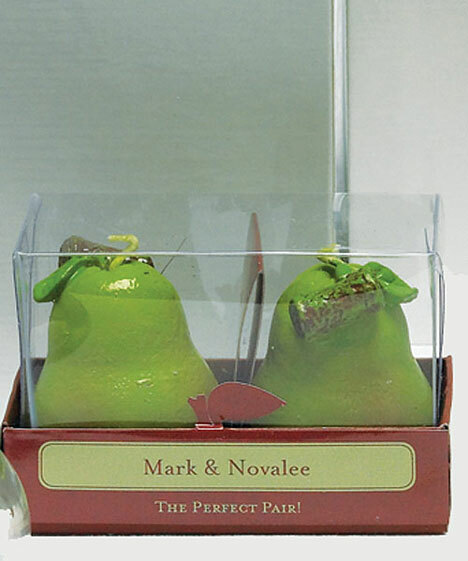 You work hard to create a theme that reflects the essence of your love as a couple. Your chosen theme is displayed throughout your wedding ceremony and reception in all your accessories, including your wedding stickers. Put stickers on invitations and thank you notes. 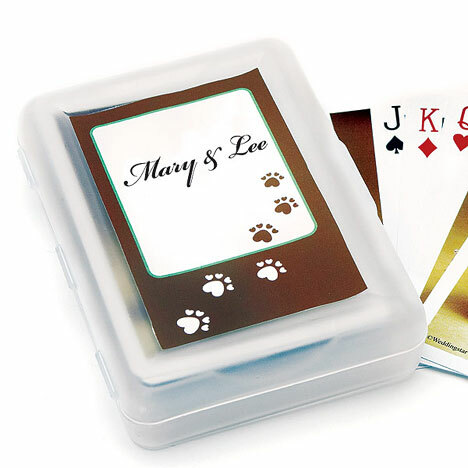 Place stickers on gifts to your wedding party. Include stickers on your wedding favors. Have stickers on your decorations. Get creative with wedding stickers to show off the theme of the day. Are you having a casual, barefoot wedding on the beach? 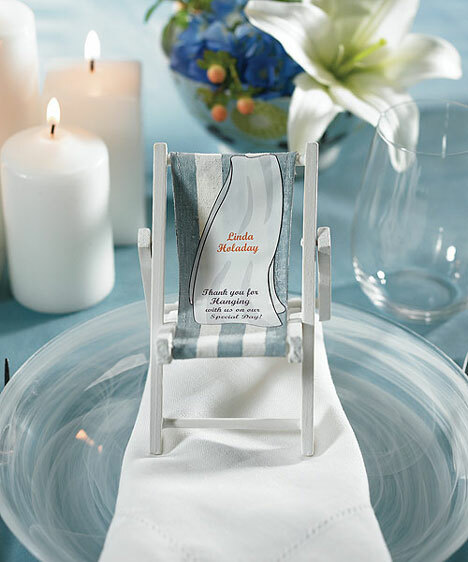 Use beach towel stickers with your names on all your favors. Are you having a destination wedding on the beach in an exotic location? 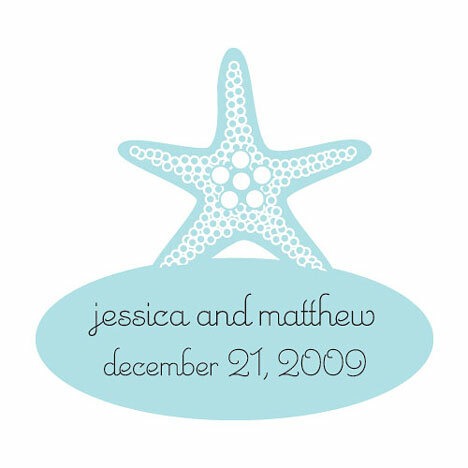 Starfish shaped stickers with your name and the date memorialize the occasion. Weddings on a boat keep guests out of the elements with a waterfront setting. For seafaring weddings, affix boat flag stickers with your names on all your favors. Garden weddings invite fresh air, sunshine and new life into your day. Cute love bugs leaf shaped stickers featuring your names look adorable on your garden wedding invitations, favors and scrapbooks. For garden wedding featuring a butterfly release, butterfly shaped stickers are pretty embellishments. Many couples elope to Las Vegas to get married quickly then try to hit the jackpot to kick off their married life together. Even couples who don't run away to Nevada plan Vegas style wedding to bring the same spirit to their hometown. 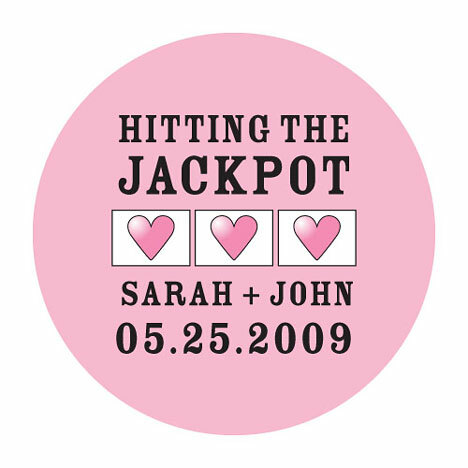 For Vegas weddings, jackpot stickers and lucky in love stickers let everyone know you've already hit the jackpot. People from all backgrounds have Oriental theme weddings because of their peaceful beauty. Quiet fountains, bonsai trees and soothing music create a romantic atmosphere. Capture the essence of the Orient with cherry blossom stickers on your accessories. A Cinderella wedding includes glamour, sparkle and luxury throughout the day. 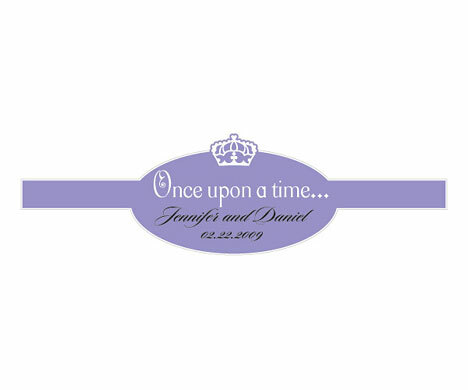 When a real life Cinderella marries her down to earth Prince Charming, once upon a time stickers are the perfect touch on all the wedding favors. Indian weddings incorporate unique colors and themes to reflect the rich culture of the couple. Include these colors and themes by affixing Indian theme stickers to your wedding invitations, favors and thank you notes. 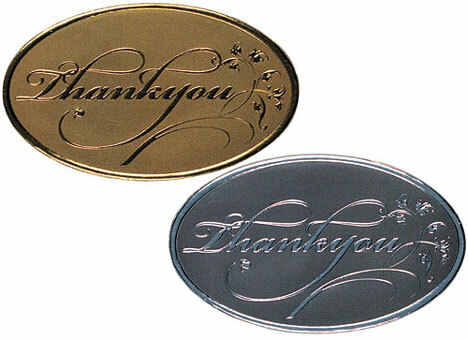 Special wedding stickers are used to seal your thank you cards so your guests know how you feel before they even open the envelope. Playing card heart shaped stickers that say thank you with your names are great for Vegas style weddings. If you had a garden wedding, choose pink flower shaped stickers with your names.